At Seaford Man With Van Hire we like to keep things personal and efficient. As a family-run business we rely on local business, repeat custom and word of mouth. 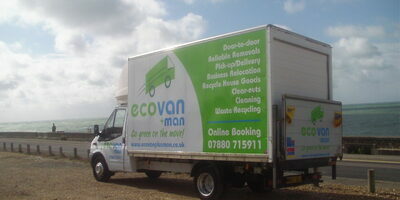 Im Dean and i set up Eco Van - Man With Van Hire in 2011 and works with a team of experienced movers who take that extra care in their work and provide a personal touch. 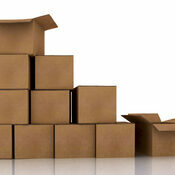 Our Seaford Man With Van Hire operates across Sussex and we will travel nationwide to help you move. We are fully insured and will secure all of your belongings during transit with ties and blankets. At Man With Van Hire Seaford we also offsets carbon emmissions through the UK Tree Planting Scheme for moves of 4 hours + and our packing materials are re-used and recycled. Man With Van Hire Seaford Includes Furniture Collections and Deliveries We are Honest and Professional We Charge By The Hour This Includes Fuel and Labor..Goods In Transit Insurance. We are a family business covering the Sussex region with a strong reputation and provide friendly, efficient, low-cost moving services and business removals. Man With Van Hire Services in Seaford offsets carbon emissions through the UK Tree Planting Scheme and our packing materials are re-used and recycled.